… is a very interesting read. Details here. Arduino Project Handbook, Volume 2: 25 Simple Electronics Projects for Beginners is a followup of the previously reviewed Arduino Project Handbook (volume 1). Catalysts, Explorers & Secret Keepers: Women of Science Fiction , is a publication of the Museum of Science Fiction, and it was released in Kindle form moments ago. Lately — since, oh, sometime in early November 2016 — I’ve been reading history, especially US history and especially centered on national history and presidents. Why? Because Donald Trump is not the American reality. Other things are the American Reality. They are not all good things, some are bad, but many are good. And with Trump, it is all bad, very very bad. Reading about Lincoln, Grant, JFK, Roosevelt, Johnson, and all those other famous white guys at this moment in time is one of several ways of coping with the hopefully temporary end of American civilization. This is only one thing I’m doing to cope, but it is one of the things. And so we have, coming out just now, “Bobby Kennedy: A Raging Spirit ” by Chris Matthews. I vaguely remember the assassination of JFK. And I remember the assassination of MLK. But Bobby was my Senator, and he was part of the political community in which I grew up. When he was killed, my father, who had been watching the TF, following the primaries, came and dragged me out of bed so I could watch that part of history. It was an event that helped determine who I am today. It was an event that helped me to become of the the millions of Americans who ultimately will not put up with Donald Trump, and who will spend the rest of our days fighting Republicans because of what they have done to this country. This is not my favorite book, because I think the subtitle should be “No, it doesn’t Steve” … but How the Mind Works is not without merit, and Steve Pinker is a great writer. Anyway, I thought you’s like to know that it is now available on Kindle for two bucks. You know of Pat Shipman at the very least because of her recent and, dare I say, highly controversial and excellent book The Invaders: How Humans and Their Dogs Drove Neanderthals to Extinction . If you’ve not read it, do so. But, in the mean time, another book she wrote in the same area, The Animal Connection: A New Perspective on What Makes Us Human , is now available on Kindle for two bucks. Why do humans all over the world take in and nurture other animals? This behavior might seem maladaptive—after all, every mouthful given to another species is one that you cannot eat—but in this heartening new study, acclaimed anthropologist Pat Shipman reveals that our propensity to domesticate and care for other animals is in fact among our species’ greatest strengths. For the last 2.6 million years, Shipman explains, humans who coexisted with animals enjoyed definite adaptive and cultural advantages. To illustrate this point, Shipman gives us a tour of the milestones in human civilization-from agriculture to art and even language—and describes how we reached each stage through our unique relationship with other animals. The Animal Connection reaffirms our love of animals as something both innate and distinctly human, revealing that the process of domestication not only changed animals but had a resounding impact on us as well. Winner of the 2010 Heartland Prize, Anthill follows the thrilling adventures of a modern-day Huck Finn, enthralled with the “strange, beautiful, and elegant” world of his native Nokobee County. But as developers begin to threaten the endangered marshlands around which he lives, the book’s hero decides to take decisive action. Edward O. Wilson—the world’s greatest living biologist—elegantly balances glimpses of science with the gripping saga of a boy determined to save the world from its most savage ecological predator: man himself. I bring this up now because the Kindle version is, at the moment, two bucks! A tiny price to pay for a big novel about tiny ants. Ubuntu is a form of Linux. 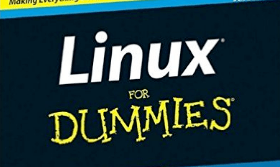 Most references on Linux will be applicable to Ubuntu, but each distribution of Linus has its own features, so if you are going to use a specific operating system (Ubuntu vs. Fedora, for example) you will be happier with a book about that distribution. This is a selection of what I regard as the best books for the purpose, but if you are reading this post in late 2017 or later, and you click through to a particular book, do look around for more recent editions. Also, check out the book reviews on my other blog, which will include all sorts of science books, some politics, and a good number of computer related books. For books on programming (in various languages, for kids and adults) check out this post. Eight previous top-selling editions of Linux For Dummies can’t be wrong. If you’ve been wanting to migrate to Linux, this book is the best way to get there. Written in easy-to-follow, everyday terms, Linux For Dummies 9th Edition gets you started by concentrating on two distributions of Linux that beginners love: the Ubuntu LiveCD distribution and the gOS Linux distribution, which comes pre-installed on Everex computers. The book also covers the full Fedora distribution. … unique and advanced information for everyone who wants to make the most of the Ubuntu Linux operating system. 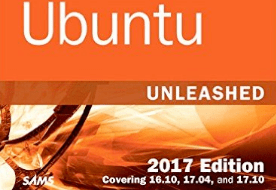 This new edition has been thoroughly updated by a long-time Ubuntu community leader to reflect the exciting new Ubuntu 16.04 LTS release with forthcoming online updates for 16.10, 17.04, and 17.10 when they are released. Not at all current, but of historical interest and probably available used: The Debian System: Concepts and Techniques and A Practical Guide to Fedora and Red Hat Enterprise Linux (7th Edition) . You’ve experienced the shiny, point-and-click surface of your Linux computer—now dive below and explore its depths with the power of the command line. The Linux Command Line takes you from your very first terminal keystrokes to writing full programs in Bash, the most popular Linux shell. Along the way you’ll learn the timeless skills handed down by generations of gray-bearded, mouse-shunning gurus: file navigation, environment configuration, command chaining, pattern matching with regular expressions, and more. In addition to that practical knowledge, author William Shotts reveals the philosophy behind these tools and the rich heritage that your desktop Linux machine has inherited from Unix supercomputers of yore. 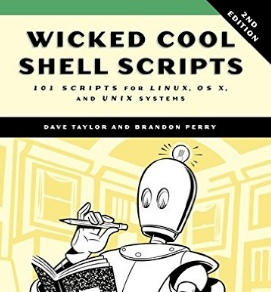 As you make your way through the book’s short, easily-digestible chapters, you’ll learn how to: Create and delete files, directories, and symlinks Administer your system, including networking, package installation, and process management Use standard input and output, redirection, and pipelines Edit files with Vi, the world’s most popular text editor Write shell scripts to automate common or boring tasks Slice and dice text files with cut, paste, grep, patch, and sed Once you overcome your initial “shell shock,” you’ll find that the command line is a natural and expressive way to communicate with your computer. Just don’t be surprised if your mouse starts to gather dust. If you use Linux in your day-to-day work, this popular pocket guide is the perfect on-the-job reference. The third edition features new commands for processing image files and audio files, running and killing programs, reading and modifying the system clipboard, and manipulating PDF files, as well as other commands requested by readers. You’ll also find powerful command-line idioms you might not be familiar with, such as process substitution and piping into bash. Linux Pocket Guide provides an organized learning path to help you gain mastery of the most useful and important commands. Whether you’re a novice who needs to get up to speed on Linux or an experienced user who wants a concise and functional reference, this guide provides quick answers. I remember watching, decades ago, a short film with Picasso. There was a glass wall that you could not see, and Picasso was standing behind it, dressed like a French Artist and holding painting equipment. He then proceeded to draw lines on the glass. Each line had a particular orientation and shape. He put just a couple of lines on the glass, and in so doing, created a great work of art. If I recall correctly, he made a few of them. Years later, visiting Picasso’s home in Paris, I saw a bicycle handlebar thad had been broken and welded roughly back together again. Two pieces of metal, each with a particular size and shape, made into a great work of art. Just a few pieces make three different cars, with a fair amount of detail. Anybody can do that, right? Draw a couple of lines and call it art? Stick a couple of pieces of metal together and call it art? Or like those modern artists, spill some paint on the floor, frame it, and call it art? Well, yes. You can call it art. But it won’t be art. It will be drek. Track not included in design. A minimal brick interurban commuter system. And, sadly, that is also what happens when the average person takes four or five pieces of LEGO and sticks them together. You get drek. Nothing. Nada. But, if you are an artist, you may have a sense of form, color, shape, etc. and when you stick a few pieces of LEGO together, you might get a form that is arguably artistic. Many artists are quite capable of working in a media unfamiliar, in this case LEGO bricks, to produce something, maybe something quite nice. Try it. If you know any artists, give them a handful of LEGO bricks and see what they can do. Instructions are as detailed as needed to get the job done, as per usual. And, it turns out there is a subset of artists who are experts on LEGO — this is their medium — and who can take a handful of LEGO bricks and put them together, and get …. Tiny LEGO Wonders: Build 40 Surprisingly Realistic Mini-Models! . Tiny LEGO Wonders: Build 40 Surprisingly Realistic Mini-Models! demonstrates 40 different minature models. There are cars, planes, ships, trains, etc. There is a Space Shuttle, and France’s TGV train. There is even a cement mixer. The models and designs are very generalizable, so if you have a reasonable collection of LEGO bricks, you can use that collection and this book to construct quite a few miniature models of your own, even if you don’t have the exact pieces. The author is Mattia Zamboni, who has written other books on LEGO, and has been a “LEGO Ambassador” since 2015. His day job is to build robots at the University of Applied Science and Arts of Souther Switzerland. The Madhouse Effect: How Climate Change Denial is Driving Us Crazy! The Madhouse Effect: How Climate Change Denial Is Threatening Our Planet, Destroying Our Politics, and Driving Us Crazy , by climate scientist Michael Mann and cartoonist Tom Toles is now available for pre-order. I’ve not gotten my review copy of it yet, but it looks fantastic. Through satire, “The Madhouse Effect” portrays the intellectual pretzels into which denialists must twist logic to explain away the clear evidence that man-made activity has changed our climate. Toles’s cartoons collapse counter-scientific strategies into their biased components, helping readers see how to best strike at these fallacies. Mann’s expert skills at science communication aim to restore sanity to a debate that continues to rage against widely acknowledged scientific consensus. The synergy of these two commonsense crusaders enlivens the gloom and doom of so many climate-themed books–and may even convert a few of the faithful to the right side of science. This is a review of The Story of Life in 25 Fossils: Tales of Intrepid Fossil Hunters and the Wonders of Evolution . Fossils are cool. Why? Two very big and complex reasons. First, fossils allow us to reconstruct species that don’t exist any more. This is usually done by studying species that do exist, and using the information we glean from living things to interpret the details of the fossil species, giving it life. Second, fossils tell us about evolutionary change, both by showing us what evolutionary events happened that we would not be able to see in living species, and by showing us change. In order to understand the evolutionary history of life on our planet, we need to look at a lot of different fossil species, to develop histories of change and adaptation. So, what if you had to describe the history of life by focusing on a small number of fossils? And, why would you do that? Last year, Paul Taylor and Aaron O’Dea did this with 100 fossils in A History of Life in 100 Fossils . I’ve looked through that book, and it is nice. But here I’m going to review a somewhat more recent book, just out, by Don Prothero, which has at least as much information in it but by focusing on a smaller number of cases: The Story of Life in 25 Fossils: Tales of Intrepid Fossil Hunters and the Wonders of Evolution . Several of the fossils Prothero chose to illustrate the story of life represent major events or changes in the planet’s evolutionary history and diversification. For example, the nature of the earliest life forms is represented by the stramotlite, which is really fossil scum. Others illustrate key transitions within major groups such as the origin of hard body parts, or the major divisions of animals, such as the origin of the amphibians. Others are exemplars chosen because they are spectacular and/or because they are touchstones to understanding very different times in the past, or important categories of living and extinct forms. These examples include the extremes, as well as good exemplars of the “diversity in adaptations to size, ecological niche, and habitat.” Generally, the chosen representatives are fossils with good preservation, detailed study, and in general, piles of information. Prothero also provides rich detail about discovery, early interpretations, and the role of specific fossils (or extinct species) in the history of thought about evolution. In some ways this may be the most interesting parts of the discussion of several of the fossils. And, the book is chock full of excellent and interesting illustrations. As a result, the chosen 25 are somewhat biased towards the more spectacular, and intentionally, towards those extinct forms that people tend to gravitate towards because they are either very interesting or very spectacular (generally, both). It would probably be difficult to develop a panoply of species that ignore the dinosaurs, but the history of life on Earth could probably have been written without humans, as long as “providing a viable existential threat to all known life forms” was not on your list of key attributes to do cover, but Prothero takes on human ancestors, and covers more than one, because most of the book’s readers are likely to be humans. There are far more than 25 life forms in The Story of Life in 25 Fossils: Tales of Intrepid Fossil Hunters and the Wonders of Evolution , because the author makes use of a much richer body of information than just the key chapter-titling form. Also, Prothero is a world renowned expert on certain fossil groups, found among the mammals. Well, actually, a lot of fossil groups. And, his expertise is applied richly here, with the selection of a disproportionate share of mammals. The author writes excellent, readable prose, and vigorously makes connections between evolutionary questions and evolutionary data. It is hard to say if this book supplants or enhances his earlier major monograph for the public on evolution, Evolution: What the Fossils Say and Why It Matters . Either way, you can safely assume the more recent volume is more up to date in areas where research has been active. I’m thinking of getting a copy of this book for the local school’s library, as a gift.